AvoChair review: What benefits can you look forward to? The AvoChair is designed for comfort. The seat and the backrest are very comfortable as are the well-padded armrests. The backrest is made of elastomeric mesh, which is both breathable and ergonomic. 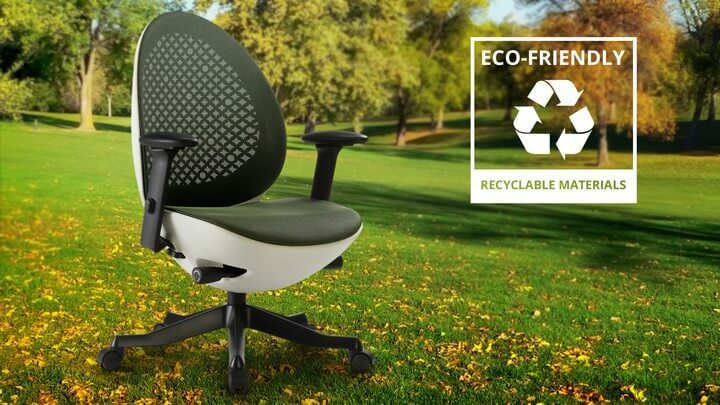 AvoChair adds an eco-friendly touch to any office without denting the pocket. If you would like a stylish ergonomic office chair that transforms the office, this AvoChair review is for you. Among some of the features that you can expect from this chair include good back support. The breathable elastomeric mesh and nicely padded armrests add to the comfort. AvoChair adds an eco-friendly touch to any office without denting the pocket. Would you love to use an office chair that is nature-inspired? Unlike most bland office chairs, this AvoChair review can show you how stylish an office chair should be. This is an eco-friendly chair with subtle edges and lines. Many of the materials used on the parts of this chair are recyclable. Besides, most of the materials are also organic. It is a chair made to enhance good health for both the user and the environment. This is a very stylish office chair. It transforms the interior décor of any workplace. Whether you are looking for an office chair for your home office, regular office or for your employees, AvoChair is one of the best choices. But looking good is not all there is to it. It is truly ergonomic and very comfortable too. There’s more to this ergonomic office chair than meets the eye. Easy on the pocket – you would love to save money, right? Even with the stunning design, the chair is still very affordable. Nice waterfall design of the seat edge is very comfortable for the legs as it does not press against the back of your knees. This chair is made with organic materials and it is comfortable and ergonomic, with incredible back support. Has elastomeric mesh on the backrest with a good balance between airflow, comfort and back support. 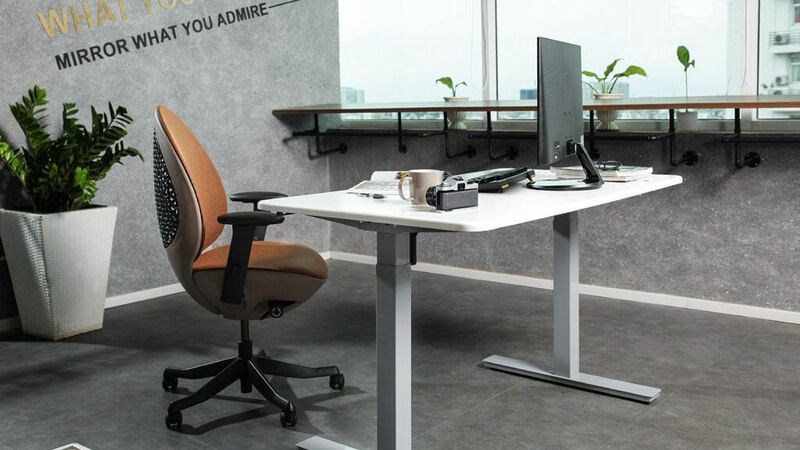 The backrest has supportive reclining tension that enhances your sitting posture at work. You can work for longer hours without compromise on your back. Meshed back allows good airflow and you will not sweat even when working in the hot summer months. The seat material is also breathable to keep you as comfortable as possible. The first feature that makes this chair so appealing is the price. While its counterparts with similar features cost several hundreds of dollars, this one costs a very affordable price. Besides, your purchase is also covered by a 30-day money back guarantee. You can return the chair within this time if you are not pleased with it. Then there is a 12-month warranty for repairs and fixes. The design of the AvoChair is outstanding. 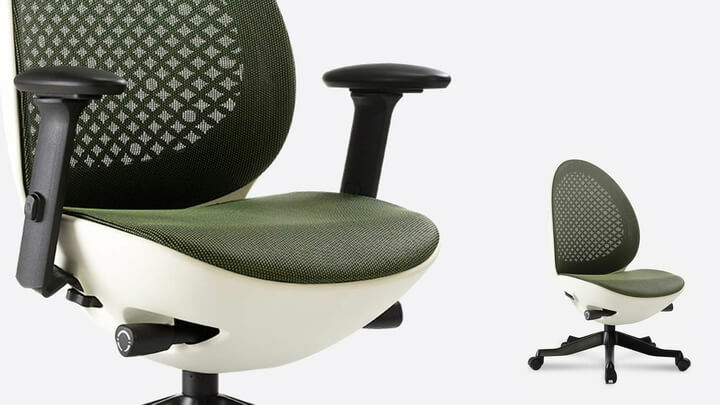 It is hard to find another ergonomic office chair that is made in the shape of an egg. The seat and the backrest are egg-shaped and very comfortable too. The design of the ergonomic office chair is very simple. It is easy to assemble because of the uncomplicated design. You will take a short time to put it together. The package comes with an Allen key for fastening. The backrest is meshed for aeration. No matter how many hours you sit on this office chair, you will not have a sweaty back. The seat is also breathable. Breathability is a factor of comfort. The reclining tilt can be adjusted to suit different sitting postures. The height of the chair is adjustable to meet different height needs. It is easy to adjust the height with the small lever located at the right hand side, just below the seat. The AvoChair has been designed with a strong, long-lasting die-cast aluminum base. Once you have adjusted the height of the chair and the recline angle for the right tension, you can lock-in the posture. You need not fiddle with the chair height and backrest tilt again in future. This saves you a lot of time as you just need to sit and work. The armrests are stylishly designed. Their pads are small and they are adjustable in different ways. They pads can slide forward and backward, and the width of the armrests is also adjustable. The height of the armrests can be adjusted to enable you adopt the most appropriate posture. As we said in the beginning of this AvoChair review, this chair was inspired by nature. That is why all of its materials are 100 percent recyclable and as many as possible are organic. At the same time, many parts of the chair have been made from recycled materials. This chair brings a fresh breath to any eco-friendly office. The chair is available in different colors. There is an all-black one, which is perfect for any professional office. Black color with a white edge on the backrest and around the seat is also available. Another color that you may consider is green and white color combination. The brighter colors are perfect for any home office. This chair is simple in design yet very effective at keeping the user comfortable. It is easier to put together. The casts work well on just about any kind of floor. Besides, the die-cast aluminum alloy base allows the user to lock in their height and backrest tilt settings. The AvoChair is designed for comfort. The seat and the backrest are very comfortable as are the well-padded armrests. The backrest is made of elastomeric mesh, which is both breathable and ergonomic. The seat has a waterfall-edge, which is very comfortable for the back of your knees. You will enjoy good lower and middle back support. This chair does not have adjustable lumbar support, but the design mimics the natural curve of the spine. You can use this ergonomic office chair for a long time without compromising your back health. There are no hard edges on this chair to press against your body. The armrests are ellipsoid, the backrest and the seat are ellipsoid. The lines and edges are subtle and gently flowing. It is hard not to love this chair. The AvoChair was mainly made for comfort. You can sit on it for 8 hours or more without feeling any pressure on your thighs. The armrests are well padded and comfortable. Rest your arms on them to take the pressure of your shoulders. The 5-spoked wheelbase is quite wide. This anchors the chair properly even when you are shifting your weight to get a better sitting posture. There is no risk of toppling over. If you are environmentally conscious, you will love this chair. Every part possible has been built out of recycled material. That is not all, since all of the parts can be broken down and recycled. Where possible, this chair is made of organic parts. The AvoChair ergonomic office chair is a great improvement from the regular office chairs. It has a stunning design and is very comfortable. It is rare to find style, classiness, eco-friendliness and affordability all rolled into one. However, the AvoChair has done it. For the best ergonomic office chair, durable, revolutionary in style and very comfortable, look no further than the AvoChair. This AvoChair review has shown you just how affordable the price of this chair is. Having all this comfort, ergonomic back support and style at such an affordable price is a win-win situation for you. Remember also that the chair has a money back guarantee of 30 days and a warranty of one year.